Religious or not, the Blind Boys live version of "Amazing Grace" is something everyone ought to hear before they die. Why See The Blind Boys Of Alabama? The Blind Boys of Alabama hit the road! 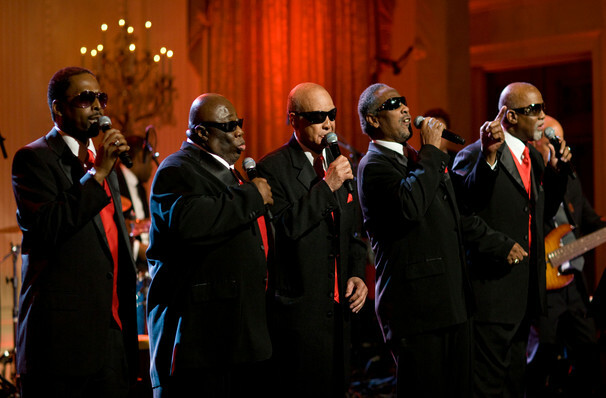 Formed in 1937, the Blind Boys of Alabama have been singing on the Gospel Scene for over five decades. The 5-time Grammy Award-winners have since performed with a multitude of musical heavyweights including Mavis Staples, Kanye West, Lou Reed and Prince, imbuing all of these collaborations with an authentic soul and endless charm. Musical legends in their own right, the group tours the US once again in 2019! Performing Motown, Gospel, Soul and Contemporary Music classics, these widely lauded creators of joy bring an energy that belies their age to every show, inciting movement and dancing from every crowd. Seen The Blind Boys Of Alabama? Loved it? Hated it? Sound good to you? 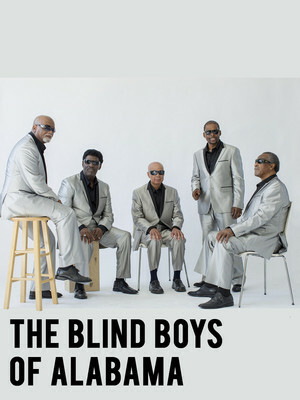 Share this page on social media and let your friends know about The Blind Boys Of Alabama at Gates Concert Hall. Please note: The term Gates Concert Hall and/or The Blind Boys Of Alabama as well as all associated graphics, logos, and/or other trademarks, tradenames or copyrights are the property of the Gates Concert Hall and/or The Blind Boys Of Alabama and are used herein for factual descriptive purposes only. We are in no way associated with or authorized by the Gates Concert Hall and/or The Blind Boys Of Alabama and neither that entity nor any of its affiliates have licensed or endorsed us to sell tickets, goods and or services in conjunction with their events.